Kimberly Schreiner is a teacher, a lover of Planet Earth, and has a heart for young people. Graduating from CSULB with a degree in Biology set the groundwork for knowing about, caring for, and passionately teaching children about the world around them. After being a stay-at-home mom, Ms. Kimberly took a job as an instructional aide teaching Kindergarten and 2nd grades. After 4 years, she returned to graduate school and attained her Multiple Subject Teaching credential at CSUF. Her first placement charged Ms. Kimberly to create, design, and implement a new 8th Grade Physical Science curriculum to meet the new NGSS. She met this challenge successfully through diligence, creativity, and tireless energy. In the classroom, Ms. Kimberly kindly guides students to have an understanding of, and a passion for, the world we live in. Ms. Kimberly also demonstrates her joy and creativity through sewing, quilting, painting, and landscape design. 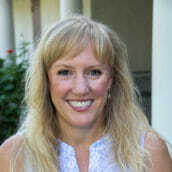 Ms. Kimberly, her two children, and their two dogs reside in Placentia, California.